Pianist and composer Emilio Teubal, the son of Argentinean parents who were in exile in Spain at the time of his birth ands returned to Buenos Aires when he was eight years old, first came to my attention with his fine 2013 BJU album, "Musica Para un Dragon Dormido." His new recording, "Memorias de Otro Tiempo" (Music of Another Time), finds him in a trio setting with acoustic guitarist Federico Diaz and clarinetist Ivan Barenboim as well as on a new label, Not Yet Records. I wrote of the earlier album "Teubal has woven threads of numerous musical styles into his compositions without losing touch with his "roots." The same is true here but the smaller ensemble allows the listener to hear his impressive work at the keyboard where he supplies melodies, harmonies, and, often, the rhythmic flow. The forward motion of pieces such as the title track, "La Inquieta", "Playing", and "El Orzuelo" will remind listeners of Astor Piazzolla and Guillermo Klein yet Teubal is no mimic. Guitarist Diaz is quite percussive on "El Orzuelo" with his powerful strumming in the opening section and his pounding on the body of his instrument during the powerful piano and clarinet interaction. He takes a similar approach on the opening of "La Inquieta" before he joins the piano and clarinet in the escalating melody lines (Teubal's left hand builds an excellent foundation for the melody and the interactions). The trio chases after each other in the delightful romp of the solo section. It's joyous, impressive, and certainly breathtaking music. 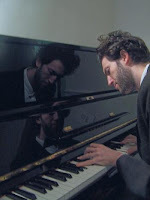 The previous track, "Playing", is a delight-filled solo piano piece that one might expect at the close of the program. Here, it's in the middle of the album, literally pulling the listener into the songs that follow. The ballads are equally as breathtaking but for other reasons. "April 7th" opens with bass clarinet, soft guitar, and slowly unwinding piano melody. As the intensity builds, so does the emotion. The piano gives way to a plaintiff clarinet melody with smart counterpoint from the guitar. There is a melancholy sadness to "En la Dia de los Muertos (An American Tragedy)", not surprising since the pianist composed the piece on the November 2016 night of the US Election Day. With that amount of gravitas, one is temper to read many things into the music. Put that out of your mind and let the music flow into your ears and get wrapped up in the excellent interaction of the trio. Memorias de Otro Tiempo" is truly lovely music Well-played, intelligently composed and arranged music that plays to the strengths of the trio. 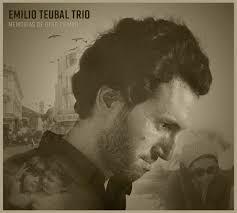 On this, his fourth album as a leader, Emilio Teubal not only displays his great talent but also a emotional depth that makes this music personal and universal. Listener, sit back and let the music wash over in and take over your mind. Don't worry about labels such as "Chamber jazz" or "South American folk music", just listen. For more information, go to www.emilioteubal.com. 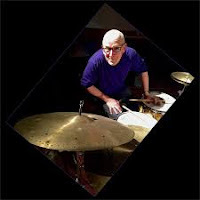 Drummer and composer Jeff Williams is, perhaps, best known for his work with Stan Getz and with Dave Liebman and Richie Bierach in Lookout Farm. He's played with many great artists but did not record as a leader until the 1990s when he released two small group albums on SteepleChase Records and Willful Music (his own label). 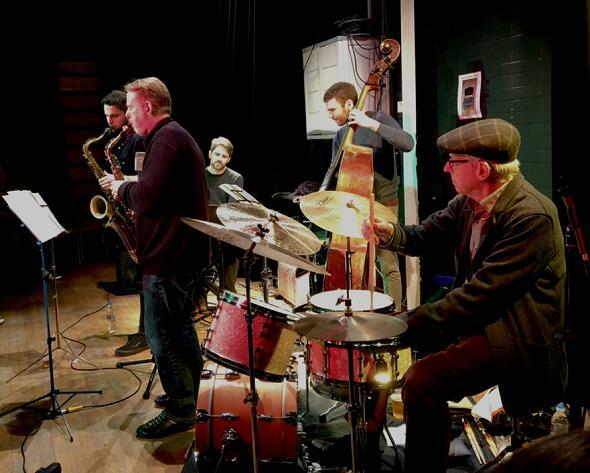 Whirlwind Recordings has issued four albums since 2011, the latest being a live date from June 2017. 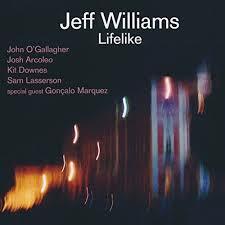 "Lifelike" features a group that expands on the 2016 quintet that recorded his previous album "Outlier"; pianist Kit Downes, bassist Sam Lasserson, and tenor saxophonist Josh Arcoleo return and are joined by alto saxophonist John O'Gallagher (who appeared on Williams's first two Whirlwind albums) and special guest, trumpeter Gonçalo Marquez. The sextet rambles, rumbles, and rocks through seven Williams originals, several from earlier albums. There is plenty of fire in the performances, from the powerful drive of "The Interloper" to the relentless tension of "Dream Visitor" to the hard-edged "Double Life." Yet, it's hard not to be seduced by the subtle tempo changes and searching quality of "Under The Radar". Marquez's solo on the tune belies the fact that this is the first time he played with this time yet he connects with the rhythm section for a powerful solo. Lasserson's melodic bass solo at the opening of "Lament" sets the tone for the lovely ballad. With O'Gallagher's lovely alto sax on the melody, the piece rises gently on Williams's skittering brush work and Downes's excellent piano solo. There are moments on this album when one is reminded of Keith Jarrett's work with his American Quartet (Dewey Redman, Charlie Haden, and Paul Motian). This is one and so is the the exploratory "Canção do Amolodar" where the trumpet and saxophones ride atop a powerful wave of percussion, piano, and throbbing bass. Thanks to the excellent sound quality, one feels as if he is in the audience of London's Vortex Jazz, right in the middle of the action. Jeff Williams is one of those leaders who also is in the middle of the action without hogging the spotlight. Tenor player Josh Arcoleo continues to mature and blends well with O"Gallagher's alto. Downes stands out for his melodic and adventurous playing while Lasserson is solid and strong. Marquez is a new name, a graduate of Berklee College who also blends well in the front line plus creates several exciting solos. 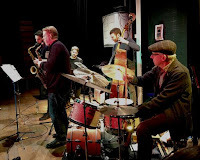 All told, "Lifelike" is full of life, an hour of progressive music not beholding to any genre other than than six musicians fully involved in playing in the moment. For more information, go to www.willfulmusic.com. 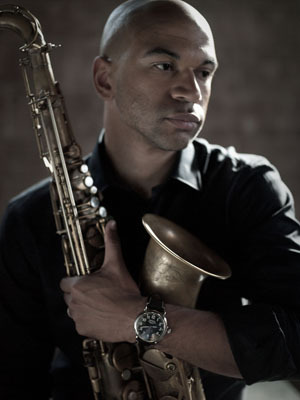 Walter Smith III is one of the cadre of musicians who hail from Houston, Texas, who are important members of the contemporary music scene (a group that includes pianists Jason Moran and Robert Glasper, bassist Christian McBride, and drummer Eric Harland). 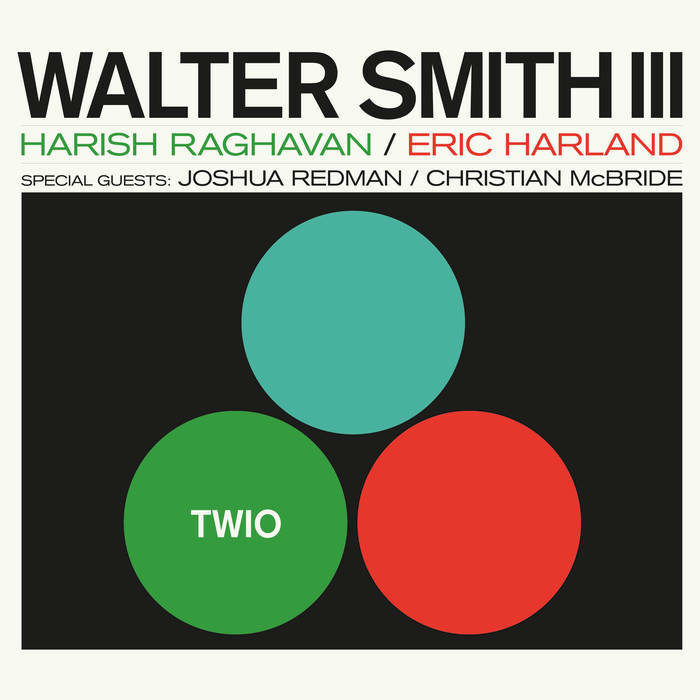 Both McBride and Harland are present on Smith's new album "Twio" (Whirlwind Recordings) with the bassist billed as a special guest (he's on four of the nine cuts). 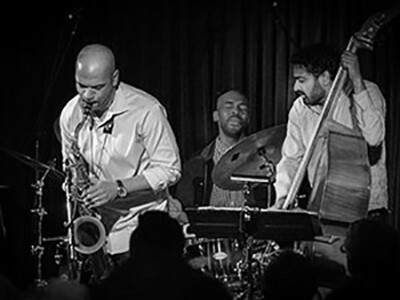 Harish Raghavan also plays bass on four tracks: he's toured and recorded with Smith3 for several years when he's not touring with trumpeter Ambrose Akinmusire. Fellow tenor player Joshua Redman joins the ensemble for two tracks, the easy going "On The Trail" and the rollicking "Contrafact." The latter track open with the two tenors going full out on the melody line sans rhythm section. When Harland and McBride, the tenors rip through the melody before both soloing with abandon (not hard when the rhythm section is playing up a storm behind you). The Ferde Grofé tune, from his 1931 "Grand Canyon Suite", swings delightfully with solos that bow in the direction of Sonny Rollins without imitating his free-flowing style. Redman and Smith3 sound as if they are having the best of times and that joy permeates the performances. This is not a cutting section but truly a collaborative effort. 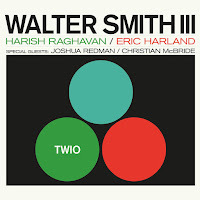 Smith3 and Raghavan are part of Harland's Voyager ensemble also it's easy to hear his comfortable they are with each other. Listen to how they dive into Wayne Shorter's "Adam Apple", not only making sure one hears the melody but also with solos that are inspired and powerful. They swing the daylights out of Jerome Kern's "Nobody Else But Me" and take an adventurous stroll through Thelonious Monk's "Ask Me Now." When Harland and Raghavan drop into the rhythm for the first part of the tenor solo, the listener feels like settling in. The fun here is that the tempo changes, gets friskier, then calms down, heats up again. Dig the delightful sax cadenza right near the end. There are also a pair of impressive duo tracks. Harland and Smith3 give a sweet reading to "We'll Be Together Again", taking their time to make sure you hear the melody. The tenor solo is drenched in the blues and rarely strays from the melody. Harland stays close to the beat but still manages to prod the tenor forward. McBride joins Smith3 for a sweet traipse through Gigi Gryce's "Social Call" - it's fun to hear how the two interact, sometimes hewing close to the melody, other times dancing around each other with glee. "Twio" stands out for many reasons, not the least of which is how much fun the musicians are having in the studio. 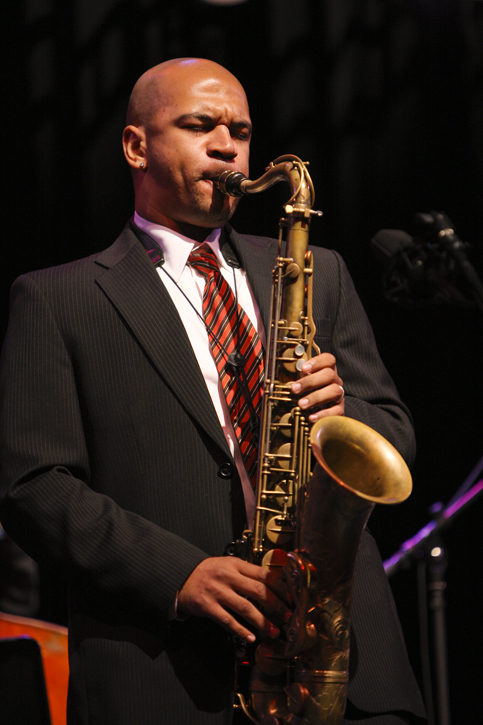 Walter Smith III displays a "clean and clear" sound with little vibrato and his solos steer clear of cliches. With "Contrafact" the only original tune, the musicians make these standards anything but "standard." What a treat from start to finish! For more information, go to www.waltersmith3.com. 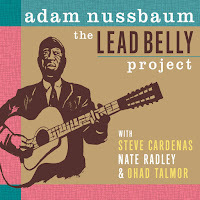 Now, at the age of 62, Nussbaum's first project to bear his name is "The Lead Belly Project" (Sunnyside Records). 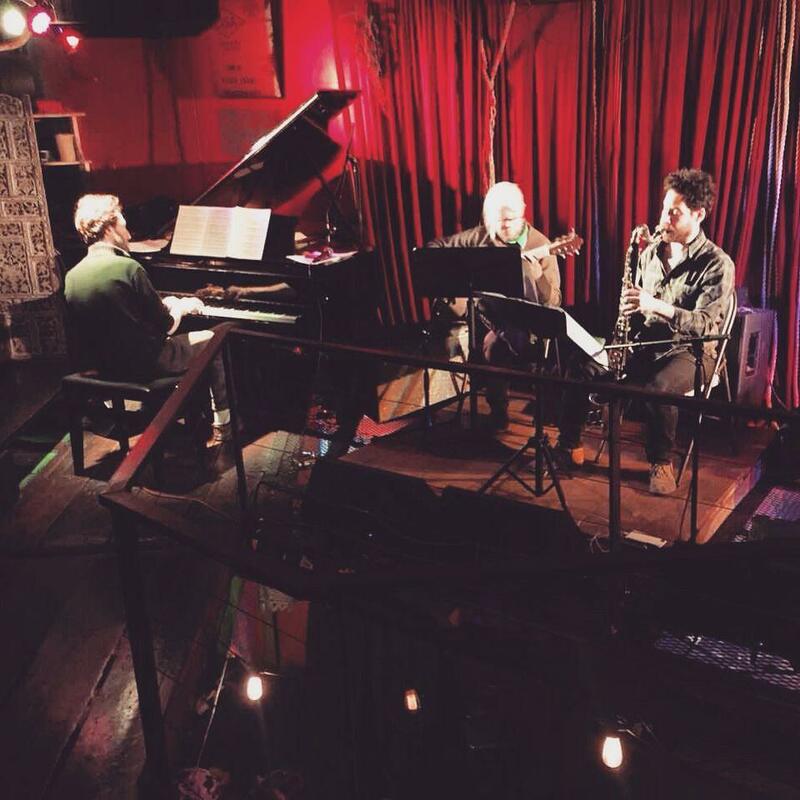 The album features saxophonist Ohad Talmor plus guitarists Steve Cardenas and Nate Radley. 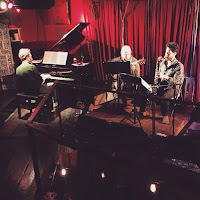 On first listen, one will be reminded of the Paul Motian - Joe Lovano - Bill Frisell trio or Frisell's Americana albums but a deeper examination will lead you to hear the program as delightful blend of blues, country, folk, and early jazz. Without a bassist, the music depends on the essential drumming of the leader (his brush work throughout is quite delightful). It's also fun to hear how the guitarists complement each other, especially on pieces such as "Bring Me a Little Water, Sylvie", "Green Corn", and the rollicking, rocking "Black Betty." Both Cardenas and Radley crackle on that last track mentioned, soloing at the same time as Nussbaum stokes the fire. Listen to how they support Talmor's sweet tenor sax solo on "Bottle Up and Go", creating a country-blues shuffle along with the drummer that is delightfully seductive. The Israeli-born Talmor, who did not grow up with this music, adds a great deal to these songs. He never wastes a note, displays a bluesy side one may have never heard in his playing, and makes sure you hear the melody line. His is the first voice you hear on the album, introducing the melody of "Old Riley" before the guitar and drums enter. 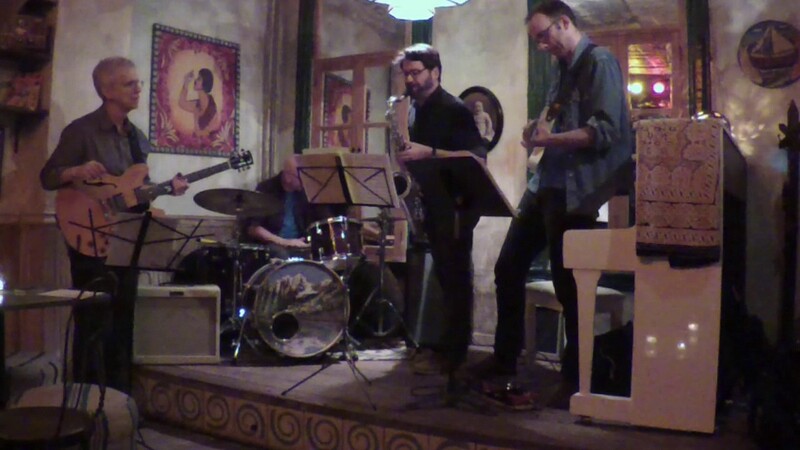 The quartet plays the piece in rubato for the first 90 seconds before Nussbaum plays the scrappy rhythm and the band takes off. On "Insight, Enlight" (one of the two Nussbaum originals), Talmor sounds as if he's playing a lullaby for his children. His mellow sound wraps around the two guitars on "Black Girl (Where Did You Sleep Last Night)", remaining calm as Nussbaum ratchets up the intensity. The ending is really quite enchanting. 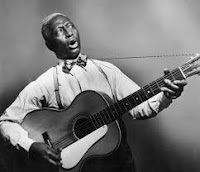 The music of Huddie Ledbetter, a.k.a Lead Belly, has touched American music fans for nearly100 years. He sang his way out prison twice, was brought to New York City by folklorist John Lomax, performed throughout the 1940s but succumbed to ALS (Lou Gehrig's Disease) in 1949. A few months after his passing, the folk group The Weavers sold two million copies of "Goodnight Irene"; sadly that success would have pulled him out of poverty but he did not live to see it. That song closes "The Lead Belly Project" and, save for the short drum introduction, stays close to the melody line. The solos that follow use the melody line as their North Star (even the leader plays the melody about a minute before the end of the track. Adam Nussbaum may have waited a long time to release his debut album but he has been an active and influential member of the creative music scene for a long time. "The Lead Belly Project" plays tribute to a giant of American music and proves how his music is integral to the development of popular music. This album won't challenge the listener but will certainly soothe, amuse, and entertain anyone who gives it a spin. For more information, go to Adam Nussbaum's website at mark4.ram.tripod.com/NussbaumWeb/.